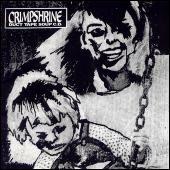 Ripped shirts and torn jeans walk around empty city streets at night, climbing fire escapes and digging in dumpsters. 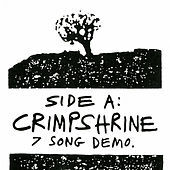 Crimpshrine are like an issue of the legendary Cometbus fanzine set to music, and with good cause -- Aaron Cometbus penned many of the songs Crimpshrine played. 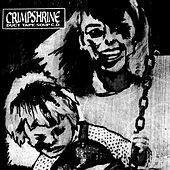 Their fun, catchy, rough and gravelly style set the standard in sound, content and lifestyle for a generation of Punk-Pop bands. 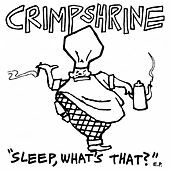 Crimpshrine lasted only a few years, but their songs and stories quickly grew to near mythical proportions, including their one (and only) ill-fated tour of the U.S. in a beat-up Pinto. 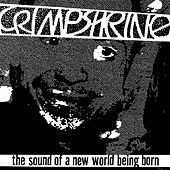 They lived the life about which they sang; and sang about the world in which they lived. 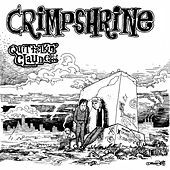 Though not always pretty, Crimpshrine managed to put an alluring twist on both their sound and lyrics.